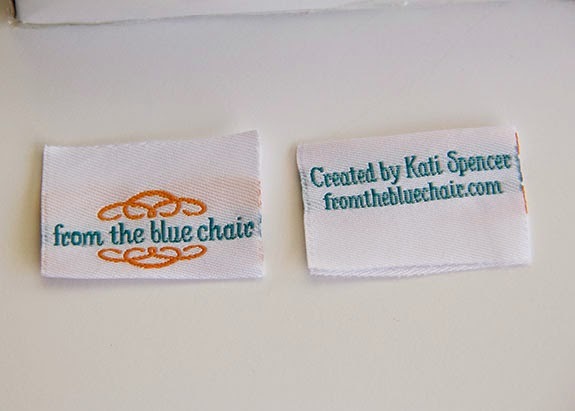 from the blue chair: New Quilt Labels! 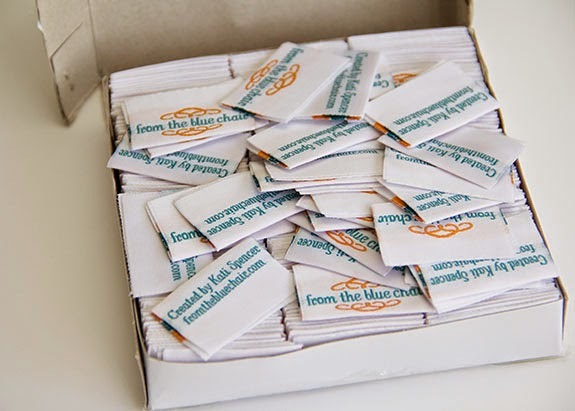 I finally decided to order nicer, woven labels! They arrived in just under a month and are exactly what I was hoping for! I was so excited when this little box arrived yesterday afternoon. And I opened it to find 350 labels. The weaving inside the label. I ordered from World Wide Labels on Etsy. As I researched I looked into a few options. There are a several reasons why I ultimately went with this company: cost, ability to order small quantities (I didn't need 1000 labels), and the ability to design my own label rather than just using text. I wanted the design to use my logo, colors and font. I also wanted the label on the fold rather than a flat design. 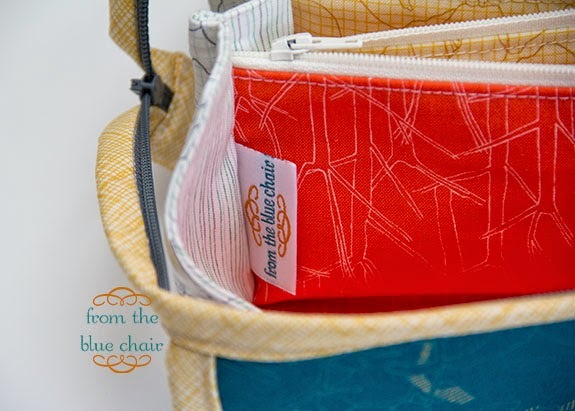 I like to tuck my labels into the binding of my quilts or into the seam of a bag. I created my own label design in Photoshop and sent that to World Wide Labels. They generally work in Pantone colors (which I don't have access to), but they were able to perfectly match the colors from the image. I ordered my labels using this option. I'm very excited to start adding these to projects. In fact I've already started! I've finished a few more Sew Together Bags. More on those tomorrow! Thank you so much for this information! I have been searching for labels like this! Thanks for sharing the info! They look wonderful...what fun! They look wonderful. Thanks so much for sharing this info! If it's good enough for you, it's good enough for me! Must investigate! Oh Wow! Amazing. Bet you were very excited. These are super. I ordered my softie labels from them and they're terrific--yours are so cute (I had to put all this government required stuff on mine)! 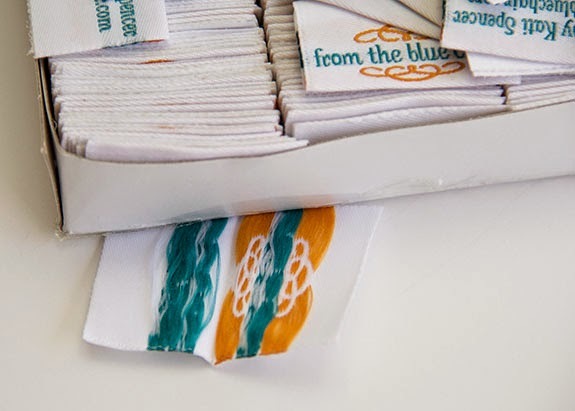 I think I need some cute quilt and garment labels too! These are gorgeous! I've been struggling trying to figure out how to label my quilts, and want to thank you for sharing the info on these. I think I've found my solution, thanks to your blog post! Love those labels. Thanks so much for the information. That is pretty cool that you were able to design your own labels. Every time I see that color, I think of From the Blue Chair. :) They were worth the wait! Nice labels. 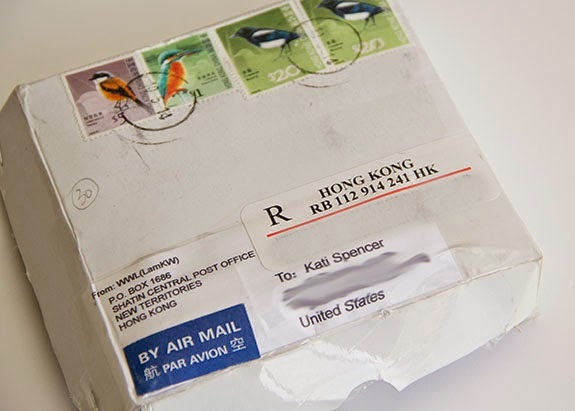 I'm always worried when I buy from overseas like that. I've gotten ripped off twice now. I'll have to keep this company name handy. Oops! I ordered some, and they look nice. However, I should have created the design with an extra 1/4" on the top and a lot of blank space underneath the logo because mine need to be flat and not inserted into a binding to work.